Hello! My name is Dewey! 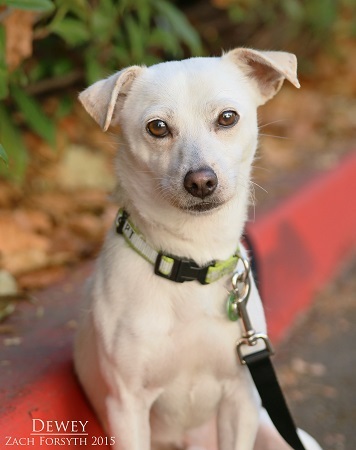 I am a 3 year old Chihuahua mix ready to be your next adoring fan! I’m a delightful kind of guy that is good with other dogs and can live with kitties too. I’m a little bit sensitive, so young children would be too much for me, but I can’t wait to have a human family all of my own. I’m eager to bond, and will make a admiring and trustworthy companion you can tell all of your secrets to! What do you say? Want to cuddle up with this 13 lb furry friend? Fill out the adoption application so we can schedule a meet and greet. I am fixed, vaccinated and microchipped. My adoption fee is $250.